29 in Magic Eco Leather. 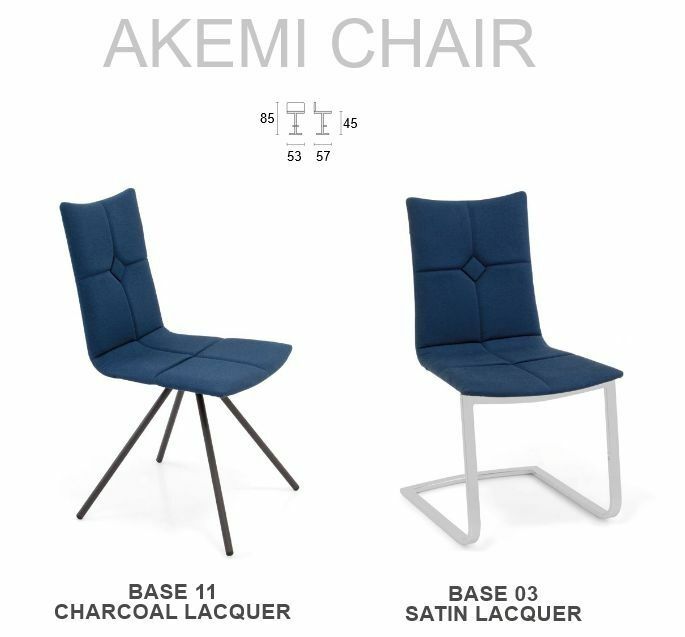 The AKEMI chair is a good all round, general purpose chair for any area – Dining, lounge, reception, waiting room etc. 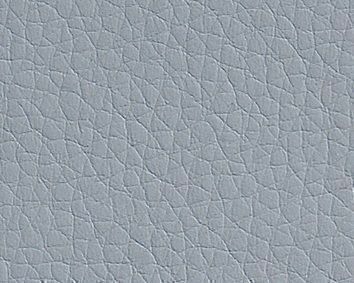 The seat, which is well padded and comfortable, can be upholstered in a huge range of colours to suit your general décor - 29 colours of Eco Leather plus 20 colours of Real Leather. So you are bound to find a colour to match or contrast. We suggest that you choose a seat colour that matches with blinds, curtains, a feature wall colour or some other accessories in the room, rather than the main colour of worktops, fascias or floor. In our opinion this creates a more interesting combination of colours. 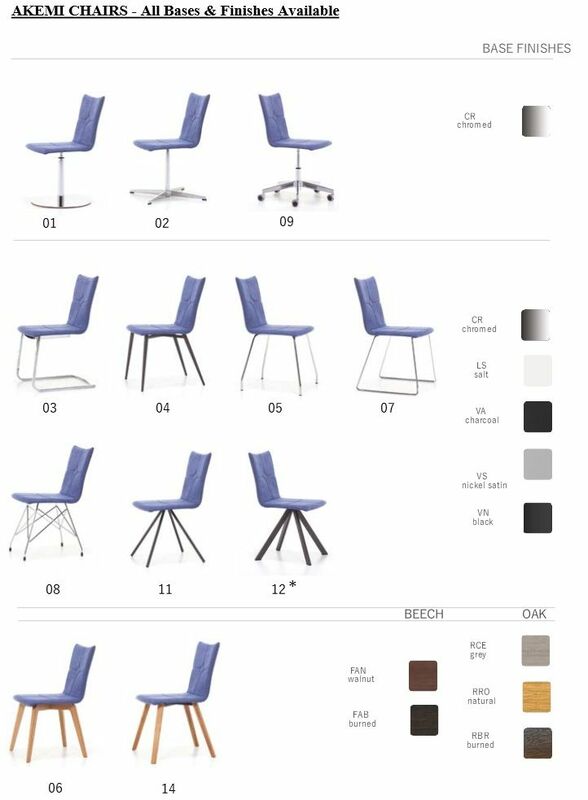 Swivel Bases – Fixed Height (01 & 02) and Office Desk Castor Chair (09) with some Height adjustment. Most of these bases can be supplied with two , three or more finishes. So the number of options is quite mind-blowing. As explained already, most of the bases are available in more than one finish. So you choose the style of base that you like (e.g. Base 03) then one of the finishes for that base (e.g. Satin Lacquer.) 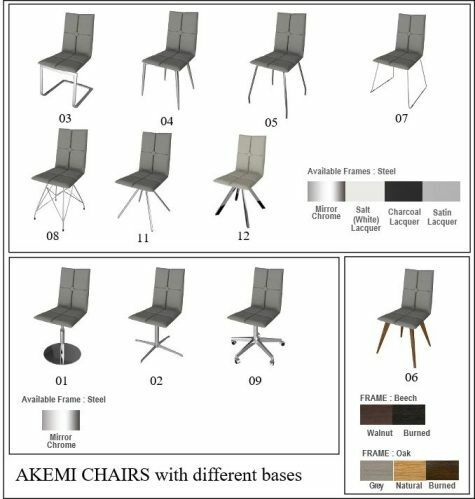 All of the options that are available are detailed in the "Chair Bases and Finishes" button. A menu opens out and you click the option that you want. The Recommended Retail price and our price are both shown for each option when you select the option. This listing is still being edited. We will be adding more information as soon as we can. Meanwhile if you have any queries then please contact us.